After-school care is offered through AlphaBEST Education. AlphaBEST is offered from the time school is dismissed until 6 p.m. each day. A variety of activities are offered, such as Homework Time, Fitness, Science and Technology, Drama, Foreign Languages and Outdoor play. A daily snack is provided. Fees are payable online or via bank or credit card draft. 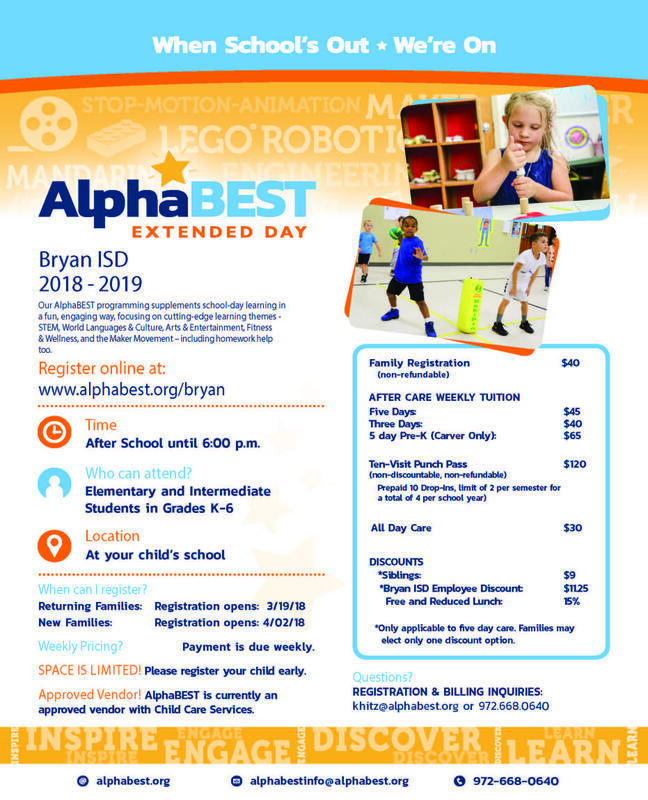 Further information about the program is available at 979-209-7085 and at http://www.alphabest.org. Please visit the website to register online. The AlphaBEST office is located at: 1920 N. Earl Rudder Freeway.